Yanako at its new location at 4345 Main St., next to Chabaa Thai. Yanako, chef Moon Krapugthong’s Japanese BYOB, has moved a block away in Manayunk, as it opens March 27 at 4345 Main St., next door to her Chabaa Thai. 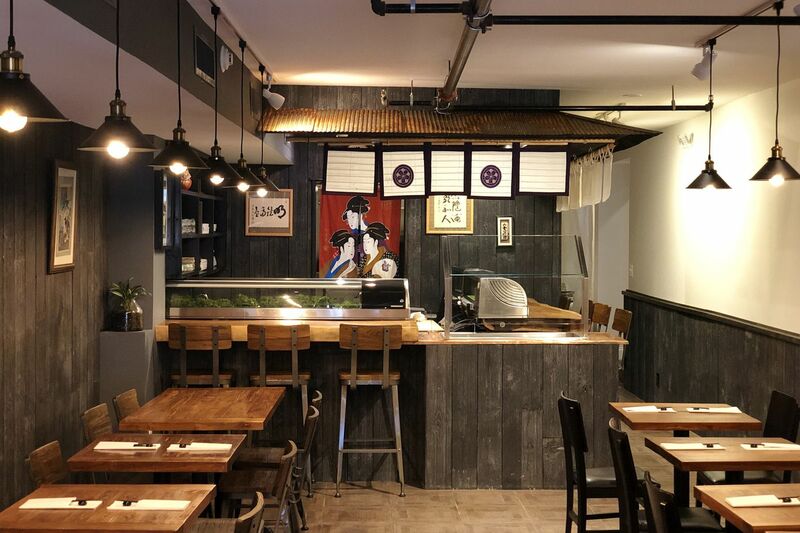 Yanako, which takes the space that was Binto, her Asian market, is darker in this incarnation, sporting plenty of dark wooden paneling, wooden tables, and a seven-seat sushi bar fashioned from a live edge. Menus will pick up where they left off with sushi and kitchen dishes, and lunch Tuesday to Sunday and dinner daily. Krapugthong has shuffled Manayunk locations before. Chabaa Thai opened in 2005 at 4371 Main St. (now the Diner @ Manayunk). It closed in 2014 and reopened in 2016 at 4343 Main. Meanwhile, Krapugthong briefly operated a second restaurant called MangoMoon at 4161 Main, where La Roca is now.